Microsoft keeps innovating its products and services persistently to keep abreast with the latest technologies, no wonder it is always much ahead of their competitors in the global market since ages. Its tools and products have been catering to diverse functionalities, and are extremely popular among the users. In this blog we are going to focus on an exceptionally classic tool of Microsoft i.e. 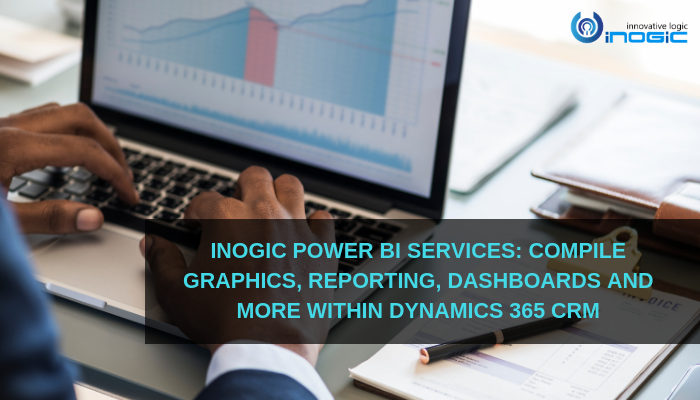 ‘Power BI’ and show you how we at Inogic can help your business requirement in Power BI with respect to Dynamics 365. Before we get into details of Power BI, let’s have a recap of how it came into existence. Introduced in 2004, SSRS (SQL Server Reporting System) is a business intelligence system of Microsoft that generates server-based reports. Its prime function is to design, test and deploy reports. SSRS, although a robust tool of Microsoft, requires development skills mandatorily if one has to generate reports or customize any requirement. This is huge a constraint but the robust functionality of SSRS kept its presence intact in the market. It has major advantages other than the installation complexities. However, the SSRS team at Microsoft realized this intricacy and started working on simplifying its functionality. Thus came the inception of Power BI, a cloud based business analytics tool. It has come in existence only recently but, has taken the market by storm given its interactive nature and compelling visualizations. Power BI is the new era graphic tool that integrates with Dynamics 365 and has already become the preferred tool for reporting. Let’s delve deep and have an understanding of why Power BI has made groundbreaking revolution in the market. Here are its needs and features. Now, with the help of Power BI, non-technical business end users can have better insights into their progress. By connecting to Power BI they can see generated reports within Dynamics 365 dashboards. This is an empowering feature which enables any user to create reports within Dynamics 365. Power BI is a collection of software services, apps and connectors working in unit to organize your unstructured data in form of graphically representative, engaging and potent insights within Dynamics 365. Power BI enables smooth connection to data sources giving the analyzing power to comprehend what’s significant, and what to share with the audience/end user. As the title suggests, Power BI is an extremely powerful Self-Service Business Intelligence tool. Given its cloud-based location, Power BI suffices with just a browser for accessibility. This cloud based SaaS (Software as a Service) is termed as Power BI service. Using this feature within Dynamics 365 you are exposed to a huge capability of accessing the Power BI services. With the help of Power BI users can view opportunities on single dashboard within Dynamics 365. With this integration the end-users can easily streamline their sales and take actionable decisions in alignment with their business growth. This not only leverages the business, but also keeps account of future behavior by studying patterns. Within Dynamics 365, there is an insight into Customer Engagement. You can easily analyze this data based on geographies, priority and customer type. This also gives you a major insight into service performance by measuring the number of cases and rate at which issues are resolved. This enables the business user to target the customer and take informed actions. So, this was an insight into how Power BI is emerging to be the business analytic tool of the age. Its features are of multiple usability that can quench your visualization needs profoundly. Our team of seasoned professionals provide services that cater to your Power BI requirements. Customized dashboards: We build dashboards and reports customized as per your business need. You can view this dashboard or report within Dynamics 365 environment. Holistic view of business: Our developers create API connections to the varied range of your data sources, empowering you to extract data from significant sources and interconnecting those sources to form a unit within Dynamics 365. Filtering data: Now, with the advent of Power BI users filter data based on logged in user within Dynamics 365. This has made the task of visualizing data a huge notch efficient. As you have seen, we know just how to take care of your Power BI needs. Here are the blogs that show advancement in our awareness and services for Power BI. So chime in, and let us know what Power BI services you require. Our skilled team of professionals will get back to you with the best possible solution and ensure your needs are met by constant requirement analysis. We serve your reporting needs and others with best industry standards. But, this is just the start, we also provide services for Field Service, Microsoft & ADX Portals, Common Data Service, Microsoft PowerApps and Flow. 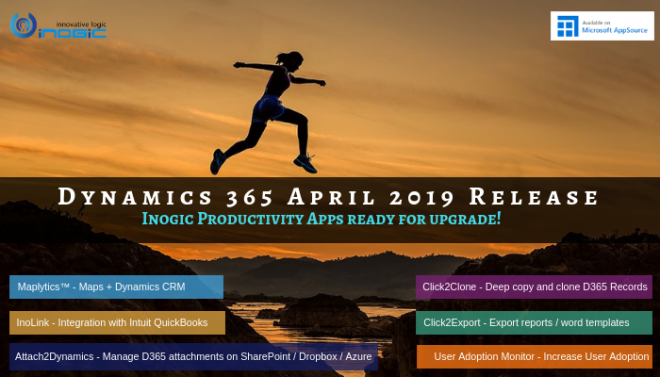 Our team of technical architects are always updated with the latest in technology so Inogic is just the right place for any of your Dynamics 365 CRM needs. For queries or requests drop us a mail at crm@inogic.com and get set going!